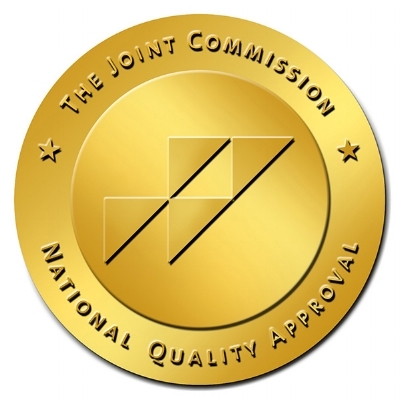 Recovery Help is very proud to have earned The Joint Commission’s Gold Seal of Approval™ for health care quality and safety in behavioral health care. The accreditation award recognizes Recovery Help’s dedication to continuous alignment and compliance with The Joint Commission’s state-of-the-art standards. Recovery Help underwent a rigorous on-site survey in Oct 2011, and then a renewal survey during Aug 2014. The Joint Commission’s behavioral health care standards address important functions relating to the care of individuals and the management of behavioral health care organizations. The standards are developed in consultation with behavioral health care experts, providers, measurement experts, individuals served and their families. Founded in 1951, The Joint Commission seeks to continuously improve health care for the public, in collaboration with other stakeholders, by evaluating health care organizations and inspiring them to excel in providing safe and effective care of the highest quality and value. The Joint Commission evaluates and accredits more than 18,000 health care organizations and programs in the United States. The Joint Commission also provides certification of more than 1,700 disease-specific care programs, primary stroke centers, and health care staffing services. An independent, not-for-profit organization, The Joint Commission is the nation's oldest and largest standards-setting and accrediting body in health care. If you have any questions about The Joint Commission accreditation process you can visit their website www.jointcommission.org. Or to report a patient safety event or concern click here.